Deal of the Day: Vauxhall Zafira Tourer | What Car? 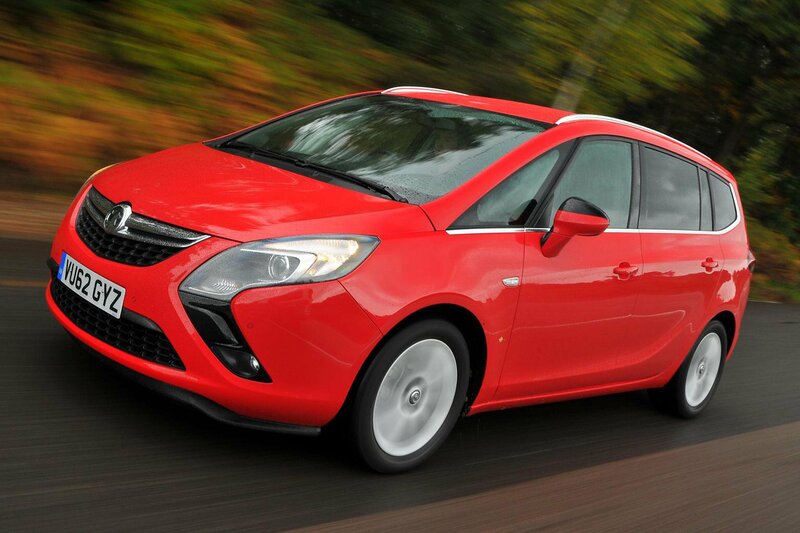 The Vauxhall Zafira Tourer is a tempting proposition, especially with this 1.6 diesel engine. It scored well in our Best & Worst MPVs review and is available with some good discounts now. This Ecoflex engine is well refined and delivers power smoothly, and benefits from low C02 emissions of just 109g/km. The Zafira's suspension deals with big bumps well and the body stays surprisingly flat through the corners. Inside is smartly styled and the slick switchgear adds to the general impression of quality. Whilst they are great for visibility, the large door mirrors generate a lot of wind noise at higher speeds. The rearmost seats aren’t comfortable for adults, while the middle three are heavy and not that easy to flip up or fold down. Tech Line trim gives you sat-nav, alloy wheels and Bluetooth but it’s also worth paying £180 for the power fold option on the door mirrors, because they are big enough to make parking in the tightest gaps more difficult than it needs to be. Head to uk-car-discount.co.uk then select ‘Vauxhall’ and ‘Zafira’ from the drop-down menus to see the full range of deals available.